There is more to replacing a roof than tearing off old shingles and installing new ones. Proper roof replacement requires careful evaluation, planning, and professional guidance by a trained roofing expert. 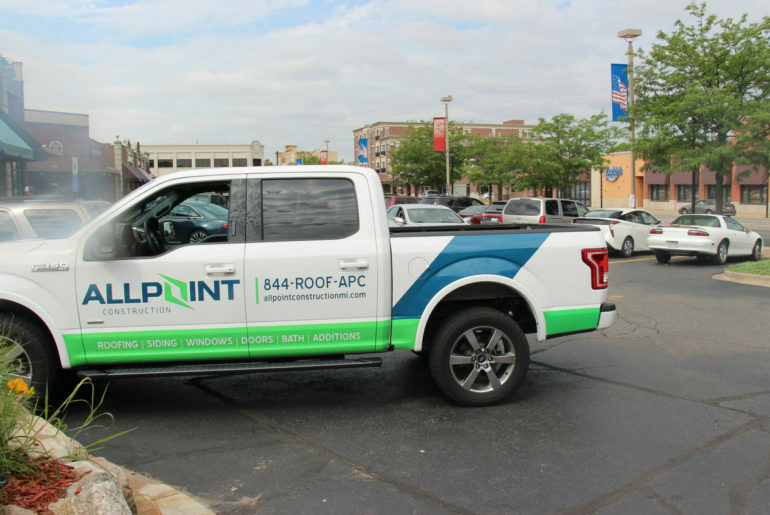 Below is a look at the key tasks involved in each phase of the roof replacement process and what you can do to prepare for your new roof in Dearborn, Michigan. What should you do before replacing your roof? Preparing to have your roof replaced is just as important as the replacement process itself. You can help lay the foundation for a successful roof replacement by carefully selecting your roofing contractor and by asking the right questions before you sign a contract. Here are five things that you should cover before you replace your roof. No one welcomes the news that they need a new roof. After all, a new roof often costs money that you were not planning to spend. However, putting off a roofing inspection could cause increased damage to your property and ultimately result in more costly repairs. The best step you can take to guarantee your satisfaction with the roof replacement process is to choose your roofing contractor with care. Not all roofing contractors are created equal, and it is up to you to select a professional, quality-minded roofing company. Before you contact roofing companies in the Dearborn area, make a list of the key questions to ask to ensure that you are enlisting the services of a qualified roofing contractor. A thorough inspection is the cornerstone of a successful roof replacement. During the evaluation, your contractor will thoroughly inspect your property and determine how much it will cost to remove your existing roof and replace it with a new one. The initial evaluation also gives you the opportunity to meet your roofing contractor and ask any questions that you have about the roof replacement process. If properly installed, your new roof should last for decades. However, you should still inquire about the warranty that you will receive with your new roof. Be sure to ask whether your warranty covers the cost of replacement shingles and labor, or whether there are any specific limitations. What can you expect during your roof replacement? The actual process of replacing your roof involves more than nailing down some new shingles. Specialists in the roof replacement industry know how critical it is to properly prepare your roof and property for the removal of your old roof and installation of your new shingles. Failure to enlist the services of a trained, licensed, and certified roofing contractor could leave you and your possessions vulnerable to damage. Below are the most common steps that should be covered in the replacement process. 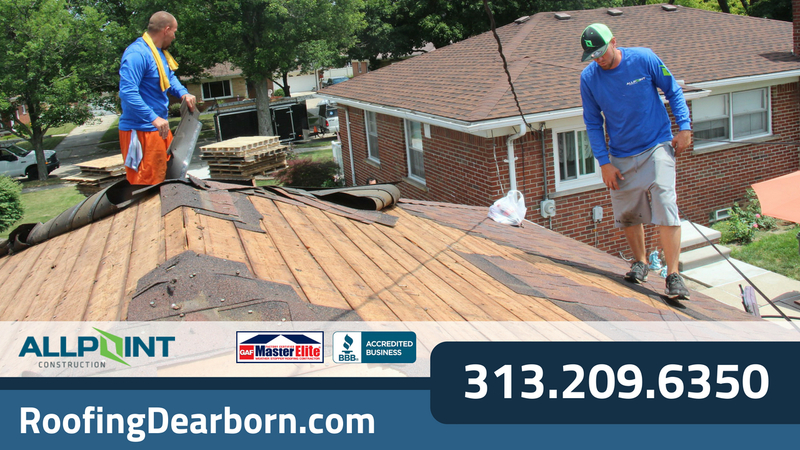 Dearborn’s top roofing contractors know how important it is to protect you and your property from the injury or damage that can occur during the roof replacement process. They will arrive with plenty of tarps, trash cans, and plywood sheets to place on your property to protect it from falling debris and nails. After taking measures to protect you and your property, your roofing company will begin to remove your existing roof. 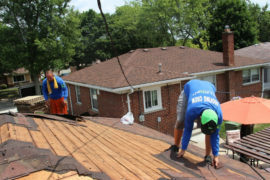 This part of the process is often referred to as the “tear-off” of your old roof, and involves using special shovels and forks to remove your roof’s ridge caps and shingles. They will also examine your flashings and remove them if necessary. Following removal of your old shingles, your roofers will inspect your sheathing and wood decking for signs of rot and decay. They will remove and replace any damaged areas with new sheathing, carefully nailing it to the roofing rafters. They will also look for any existing sheathing that needs to be renailed. During this part of the process, your roofers will prepare your roof for shingling. While every roof is unique, this part of the process usually involves the installation of a protective underlay. In most cases, this underlay consists of an ice and water barrier and asphalt-saturated felt. This part of the process involves the installation of shingles, flashing, and vents. Most roofers use a pneumatic nail gun to ensure accurate shingle installation. As outlined above, proper shingle installation is essential to making sure that your new shingles are not damaged or prematurely loosened. This step is vital to ensuring that you, your family members, and your pets are not injured by nails, shingle fragments, and debris that fell from your roof during the tear-off and shingling process. Even with the use of tarps and other protective gear, it is difficult to fully prevent debris from landing on your property. 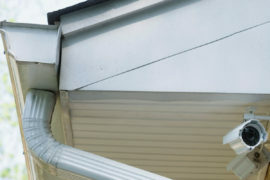 The last phase of the installation process involves the quality inspection of your new roof by a manager or supervisor. Your roof will be checked to ensure that there are no exposed nails, unshingled areas, or loose flashing. An inspection from the inside of your home may also be conducted to ensure that there are no pinpoints of light in your attic area. What should you do after your new roof is installed? The best thing that you can do to maintain your new roof is to make a commitment to maintain it. Even if you received a lengthy warranty, you should resolve to proactively care for your roof. This means watching for signs of damage and contacting your trusted roofing professional if you notice any problems. The buildup of moss, fungi, and debris can result in damage and discoloration of your shingles. Regularly trimming your trees and removing debris from your roof will help prevent this type of damage. Be sure to consult with your roofing contractor before you use any chemicals or pressure washing systems, as some harsh cleaners and tools can erode the protective coating on your roof’s surface. Get in touch with your roofing contractor as soon as you notice any small leaks or signs of damage to your roof. Your roofing contractor can inspect your roof for any problems and address any issues swiftly to prevent any major damage. Avoid the temptation to try to address problems yourself, as you may void any conditions of your warranty. Replacing a roof is a detailed process that is best handled by a trained and certified roofing contractor. As outlined above, there are three key phases to the roof replacement process. Each phase is equally important, and you play a critical role in the process as a property owner. 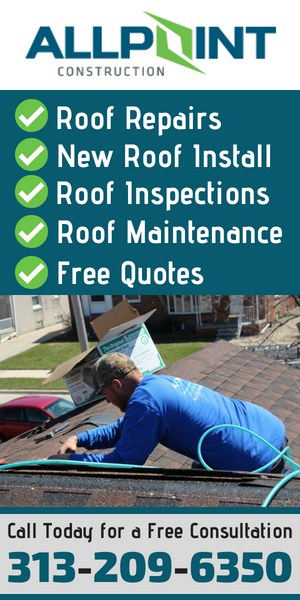 For more information on the roof replacement process, contact a trusted roof replacement provider in Dearborn.